The weather dipped unseasonably low. I still haven't unpacked my winter clothes. My closet is always sweater deficient. 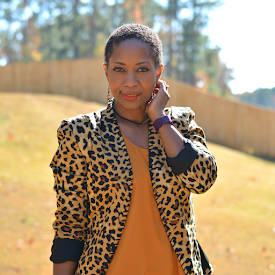 I went out into the wintry weather this weekend and rectified the sweater situation. 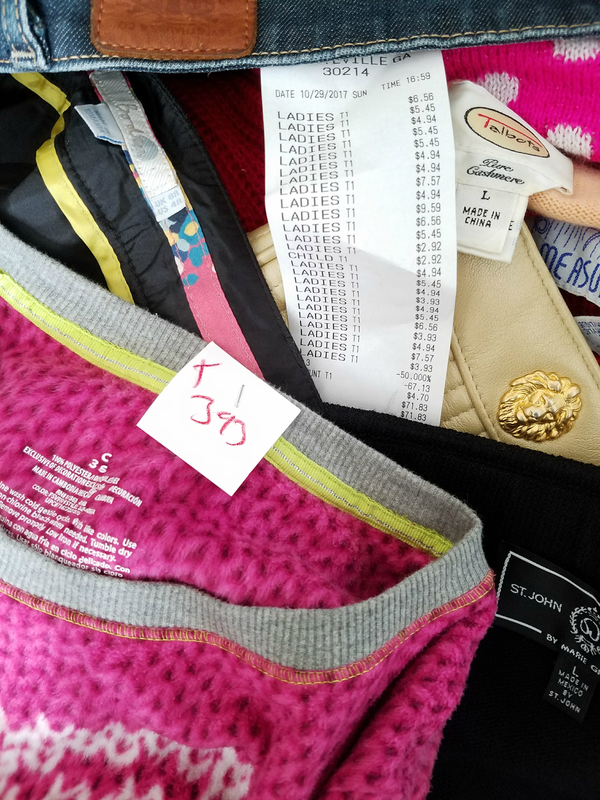 Most of the sweaters cost between $2 and $3. I ended up buying seventeen sweaters total plus some randoms. It always happens that way. One minute you're complaining that you never find 'xyz' at the thrift and then it rains 'xyz'. Two of my sweaters are cashmere and I found a great mix of chunky and thin knits in a range of colors and patterns. I'm excited to wear them even though I'm not emotionally ready for cold weather. I'm definitely going to fast track them to the top of the laundry pile so I can wear them to boost my sour mood about changing seasons. These are my favorites from the haul. 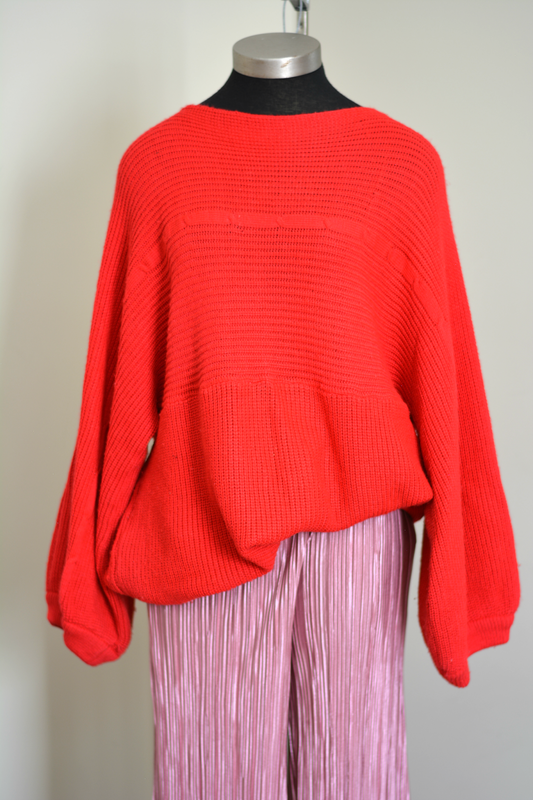 A vintage 80s balloon sleeve sweater. I did not know the sweater had such fabulous sleeves until I tried it on. I just thought it looked very cozy and blanket like but it turns out that it has trendy dramatic sleeves that were made for arm dancing. 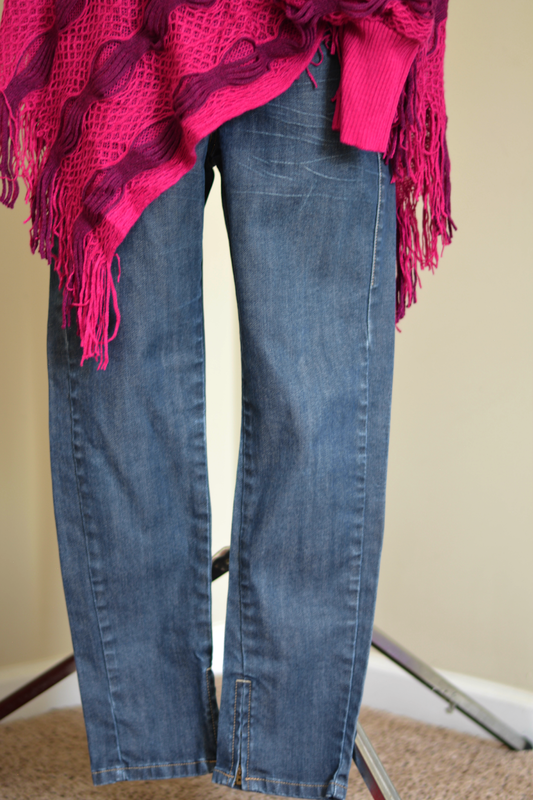 Brand new Levi's from the vintage skinny collection. It's rare for me to find Levi's that fit my body shape. They weren't made for hips. I don't turn away a great fitting jean. I know I will be in jeans for the next few months so the more options the better. Green Gap corduroys that I spotted in an abandoned (I think) shopping cart while waiting to checkout. I know that I will soon tire of wearing jeans all of the friggin time. These will be the alternative. I really love the vibrant color. 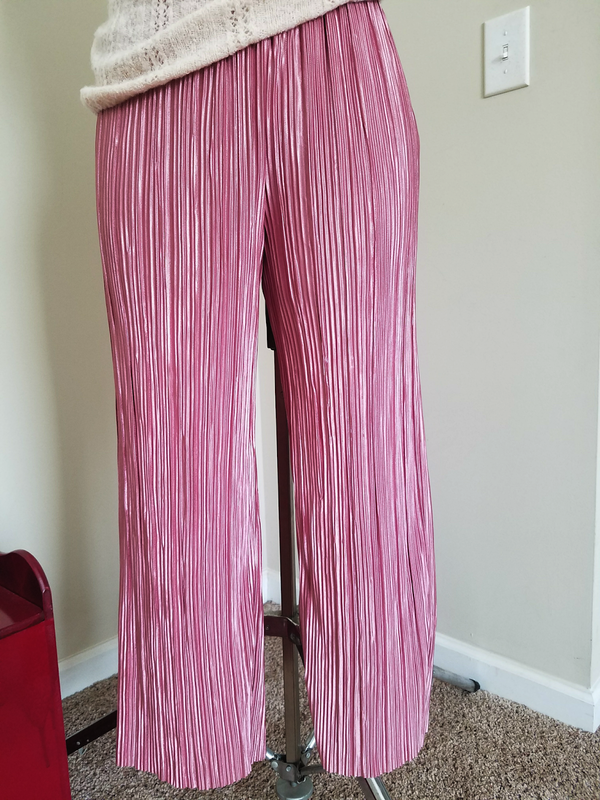 Accordion pleat cropped pants that are kind of lightweight for winter but they surprised me enough to make them purchase worthy. I thought it was a skirt but discovering that they were pants got them in the cart immediately. 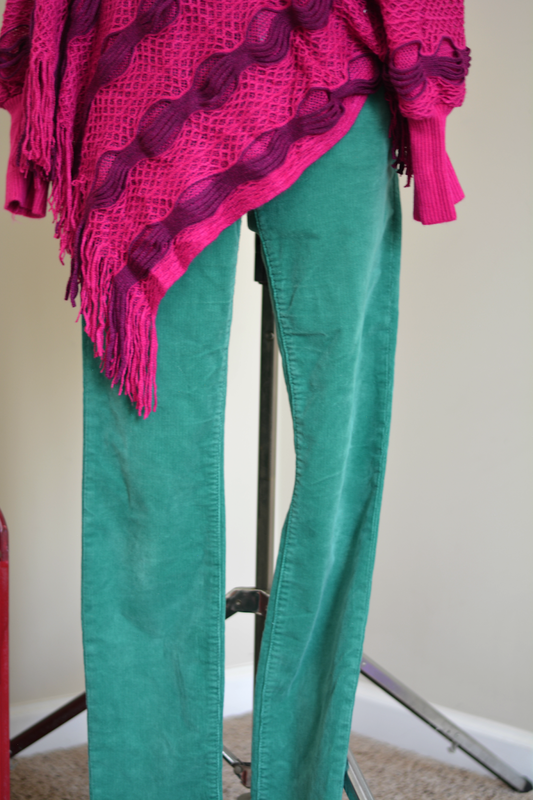 They're silky and dressy and will look good dressed up or down with a sweatshirt. It's the only piece I bought that made me forget about my sweater goals. 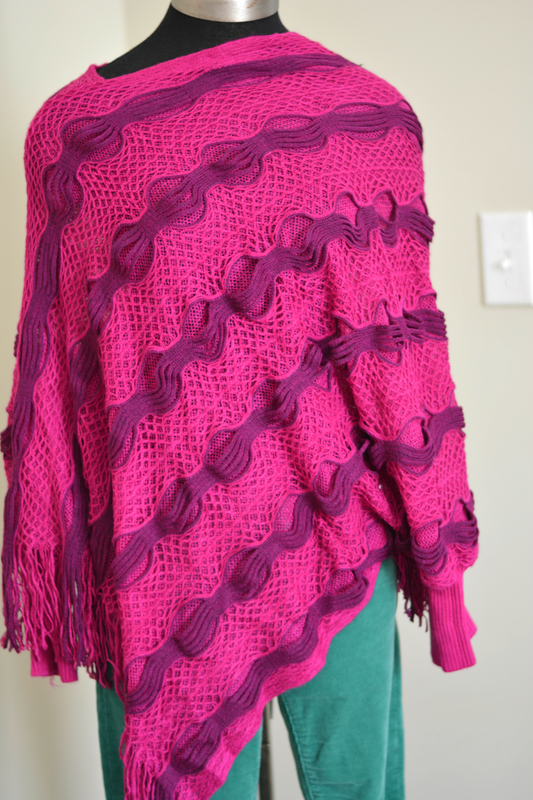 I was dazzled by the colors in this magenta poncho. It has great texture plus sleeves so it's mostly sweater. The vintage Anne Klein purse was an impulse buy. I love the lion detail found on old Anne Klein. 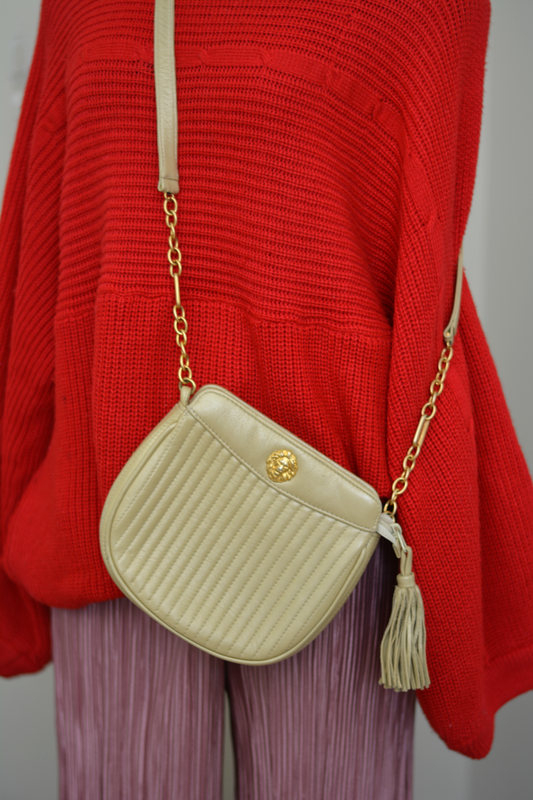 If I don't find myself carrying the purse, I can use the lion, the tassel, and the chain shoulder strap for diy projects.